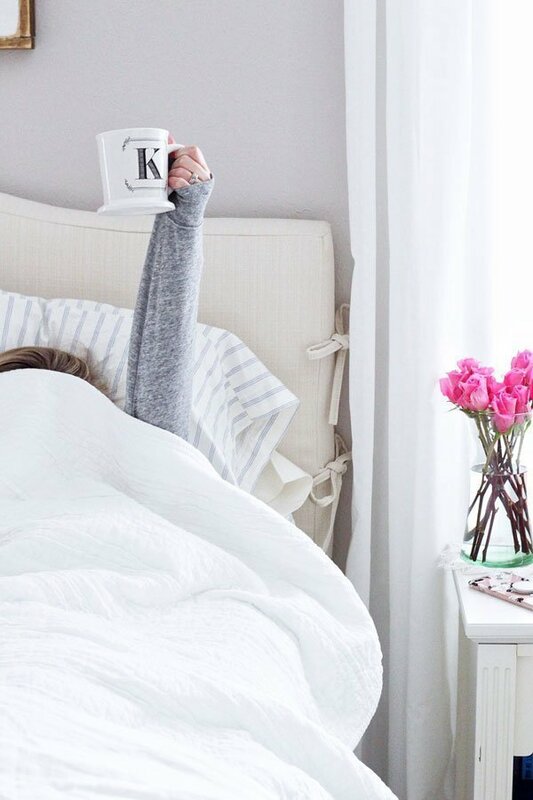 Hello, Friday. Am I GLAD to see you. This was not the best of weeks around here – not for any explainable reason, but it was just one of those weeks, you know? On the upside, it’s Ryan’s weekend off work so we plan to take advantage and get out and have some fun. Whatever your plans are for the weekend, I hope you have a good one! Here’s a quick recap of the better highlights of the week. 1. The first round of edits on my new blog design are underway! Bethany is doing a fantastic job bringing my vision to life. I’m hoping it will be live in the next few weeks. 2. I had a pretty solid couple days on Twitter at the beginning of the week. 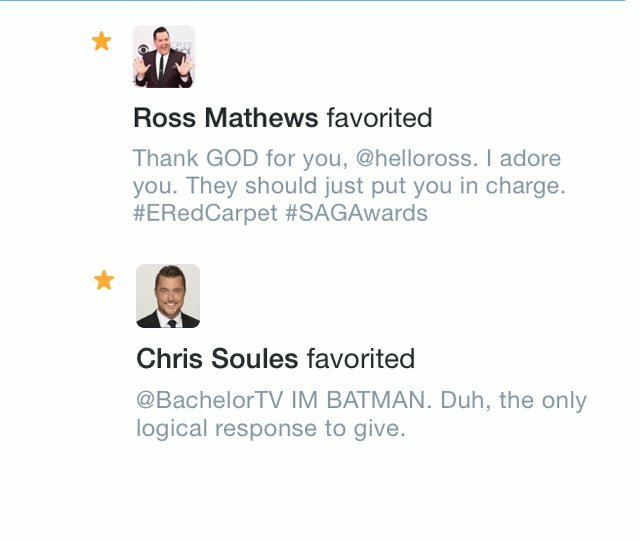 Between Ross Matthews and Bachelor Chris Soules liking my tweets during their respective shows, I had a good laugh that they even saw what I wrote. (My tweet to Chris was in response to crazy Ashley’s question of “What are you?” during Monday night’s show). 3. As you’ve probably come to realize, I am not a football fan. However, I am strangely excited for Super Bowl Sunday. I always enjoy the opportunity to make a meal out of appetizers, and I think Katy Perry is going to nail it at halftime. 5. My Finny also makes the ultimate snow day snuggle companion. Even on the worst of days, this dog sure knows how to make me smile. You're welcome! I wasn't for sure if you knew, so I wanted to give you a heads-up just in case. I need to redesign mine sometime soon but I just haven't had the time. Also–we finished True Detective and LOVED it!!! Great ending! Thanks for bringing that to my attention – I had no idea and definitely don't want to advertise that … Hopefully it will officially be live in the next couple weeks. I'm looking forward to a much more simple and clean design. 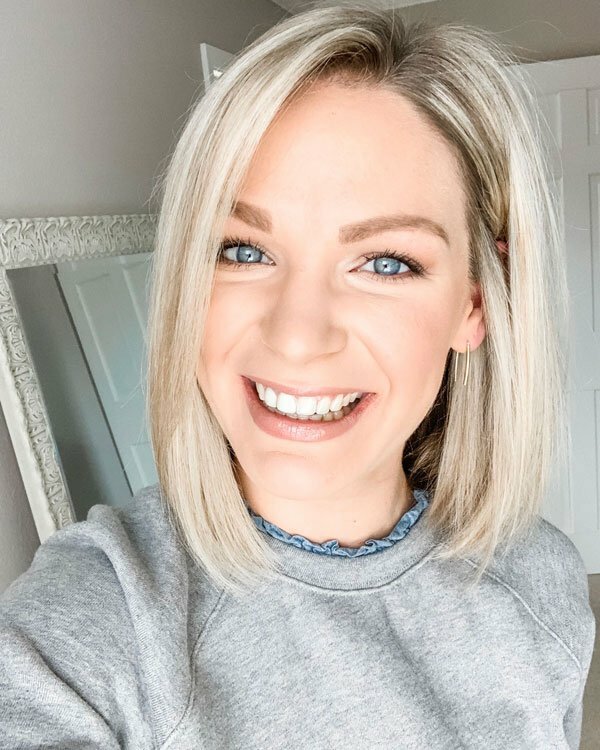 Can't wait to see the blog redesign, but I think I already caught a glimpse (check out your Blogger profile–there's 2 blogs showing up under your name) …what I saw was cute! Also, that pic of you and Finn is adorable! I just had this conversation with Ryan – I told him if that our human child grows up as fast as Finn (which obviously, he/she inevitably will), that I'm emotionally doomed. Ha! Yes, thank goodness we don't have to watch Crazy Eyes on the Bach tonight! Girl, trust me – you don't want how much snow that we have! 🙂 Hope you had a nice weekend! Aww I wish I could let my pup play in the snow. He's never seen it before but he hates the rain too. And go girl! Look at you getting celeb favorited on Twitter! Nice! Happy Friday! Haha, I definitely was cracking up when I saw that both those guys favorited my tweets. I bet your little guy would love the snow! 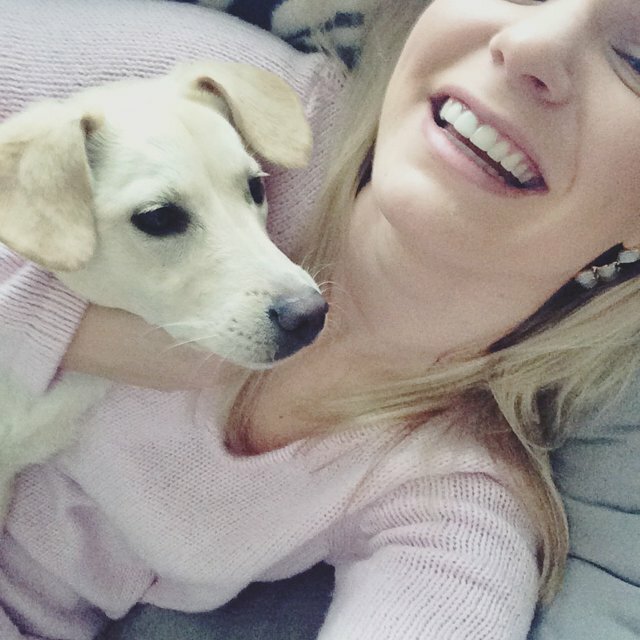 Awe! 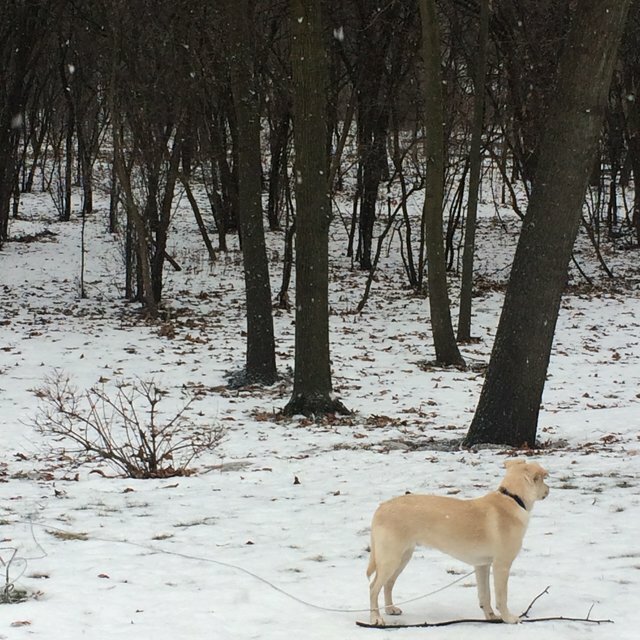 I love seeing the little dogs in the snow – it's so cute! They just love to roll around in it for some reason – or, if you're Finn, eat it, too. Hope you had a good weekend! True statement about a meal of appetizers – I honestly don't know why we don't do it more often! I'm glad I'm not the only one that thinks Finn has gotten bigger – he isn't filling out so much anymore than just getting taller. Hard to believe he's 9 months old already! It absolutely is! Hope you had a good weekend! Haha, I so wish I could sometimes! Hope you had a great weekend! Sounds like the perfect night to me! Hope you had a great weekend, girl. Yes, it really is the best! It's nice having something around that loves you no matter what and regardless of what's going on. 🙂 Hope you had a nice weekend! Oh my goodness! I'm pretty sure if Finn woke me up that early just to go play in the snow that I would not be too happy with him, Ha! Hope you had a good weekend! Thank you! It definitely was a better weekend than week – hope it was the same for you! I couldn't agree more! I'm excited for all of you to see it. 🙂 Hope you had a fantastic weekend, girl! Lol, I wouldn't go that far, but I found it pretty entertaining. I love the picture of you and Finn! Hope next week is better for you:) And I think I may have gotten a sneak peek of your new blog design–when you go to your Blogger profile, it shows 2 Miss in the Midwest links. That said, I LOVE what I saw!!! I'm itching for a blog redesign…it's nice to get a fresh restart! Have a great weekend! I love that pic of you and Finn, too cute. I'm super excited to watch Katy P too 🙂 We're staying in that night and ordering some pizza! Ummmmm holla for your celebrity twitter shout outs! Don't you wish you could get into his little puppy head? I hope you have a good relaxing weekend making up for your crazy week! Aw I really wish we would get snow this year. Last year's flurries for a few days spoiled this humidity-hater. There's nothing better than finger foods for dinner; definitely the reason I'm pumped for Sunday hah. Happy weekend! I love that picture of Finn in the snow – he looks like such a big boy! Why do they have to grow up so fast?! 😉 And you really did have a good week on Twitter! So glad that Chris sent crazy eyes home. Happy Friday! Happy Friday! I'm so excited for the weekend! And the halftime show! The food and halftime show is all I'm interested in when it comes to the Superbowl! And maybe some of the commercials. 🙂 haha So cool that your tweets got favorited! My dog loves the snow too. So much so that the monster woke me up at 3:00 am to go outside and eat it! Not to potty, just to play. Urgh. Hope you have a good weekend lady! I can't wait to see your new blog design! That's always so exciting and gives you a fresh start 🙂 Enjoy a weekend of fun after a "blagh" week! You deserve it! Finns gotten SO big! Love seeing dogs enjoy the snow, they are so cute. How awesome with your tweets! Do I have to watch the Super Bowl to make a meal out of appetizers 😉 Have a great weekend with your hubby! I know those tweets made your week! You will be famous one day! I'm strangely looking forward to the Super Bowl as well – a good excuse to relax and eat some fun food! Enjoy your weekend with Ryan! Puppy snuggles on snow days (and every day) are the best!!! Hope you and Ryan have a nice weekend together!